How many amps does a 2003 XB charging system create? Hey guys a question if anyone here knows.. I have a 2003 XB Buell stator and and regulator on my custom build. Does anyone know how many Amps the charging system is rated at.. I think its 32 or 38 amps? The main breaker on my aftermarket wiring loom is 30 Amps.. is this going to be a problem? 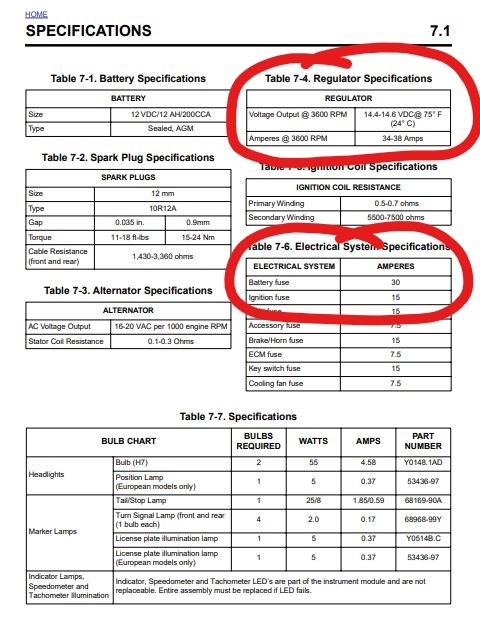 I found this online for a 2003 XB9.. Im seeing 34-38 amps charging, and the battery breaker on the XB9 is rated at 30 amps so Im seeing that Im good to go..?